So what does that mean for the future of the arts in Palm Beach County? We conducted a virtual round-table discussion with these new leaders to find out. Read on to explore their perspectives, priorities, and goals that will shape the future of their institutions, impact the cultural life of our community, and bring fresh ideas and excitement to residents and visitors alike. What is the most important priority you have set for the first year of your tenure that might give us some insight into what we can expect? Cynthia Kanai: Building relationships. I’ve always worked hard to build relationships, and I shall be doing that internally, with our partners, with all those who support us, and with all the other cultural organizations in our county and beyond. Dave Lawrence: To learn the community. When I arrived from Indianapolis, I set out in my first 100 days to meet as many of the cultural executives as I could so that I could learn the heartbeat of Palm Beach County. It’s complicated and layered work. You have to arm yourself with the knowledge of the institutions and artists that make up a community’s fabric and understand your community, first and foremost. Kate Arrizza: There are $4.5 million worth of capital projects currently underway at the science center. My first priority is to make sure that they get done on time and on budget so that we can be a better asset to the community. These include a $2.4 million project on the human brain, which will be the most advanced exhibit of its kind in the world. We are working with Max Planck, Scripps, and FAU’s Brain Institute. There’s permitting in place for a 3,000-square-foot amphitheater out back where we’ll have science fairs, rock concerts, and more. Later in the year, we’ll be building an Environmental Center across the street, where we do our STEM programs. We’ll also be building an outdoor classroom in the beautiful meadow. Then we’ll start thinking about our eight-year strategic plan, which we already have a roadmap for. Margo McKnight: I’ve been spending a lot of time with our staff and board to create a vision for the zoo of the future—our North Star, as to where we are going. Zoos are [appearing] more and more in urban settings, so our relevance is all the more important. The science tells us that when you’re around animals and nature, blood pressure goes down and cortisol levels are maintained. That’s what the zoo, the science center and aquarium, and Loggerhead Marinelife Center can provide to get us out of our crazy, busy lives and relax. This is what we have been talking about as we design our future. Our job is to help people fall in love with nature. Elliot Bostwick Davis: I have only recently arrived from the MFA Boston, and the [new Norton] building itself only reopened a few months ago. The first thing we need to work on as a group is how we’re going to use this exciting new building and a collection that’s been there since the 1940s. That for me is the first priority: mapping the way forward on how we’re going to use this incredible facility available to us as a community. Are there ideas from your past experience that will be especially beneficial to the institution you now serve? Kanai: As an educator, I have seen how children respond to learning out of doors, which provides a sense of greater awareness. Our new outdoor amphitheater-style environmental classroom will offer this positive experience to children and adults alike. Lawrence: Absolutely, there are a lot of things I’d like to bring. Back in Indianapolis, I was really attracted to infusion activities between arts and sports. There are a lot of ways we can celebrate the arts through non-arts activities. 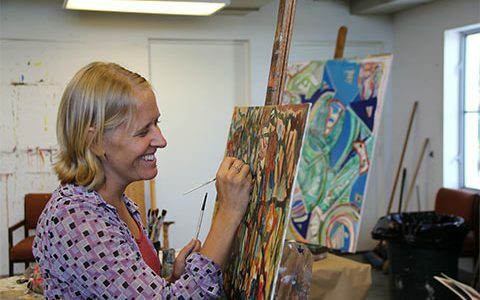 I call it “arts infusion.” There are opportunities within the equestrian community, baseball spring training, and even surfing and other outdoor activities to involve all of the arts—dancers, musicians, singers, poets, and visual artists of all kinds. We also have to recognize that artists and creative professionals are problem solvers. Oftentimes, we look at art as the window dressing end of the process. In Indianapolis, I created different fellowships of $3,500 to $100,000 per artist. What if we involve artists at the outset to look into our community challenges and empower them with money, contacts, resources, and support? That’s where I think we would begin to see the fabric of the cultural community uplift the community as a whole and contribute to its health and vibrancy. Arrizza: With my experience working in other positions at the science center for the past 10 years, and as a local visiting from the time I was 5 years old, and then as a volunteer as a teenager, I have seen [the science center] go through several bursts of growth. But there were many years when nothing happened. Then, seeing the success of the Our Body: The Universe Within exhibition in 2017—which recorded the biggest attendance and revenue ever and tripled our membership in two years—illustrated to me that we need more space. McKnight: Back in the 1990s, I worked at the zoo at Busch Gardens [in Tampa]. My job was doing conceptual designs of new animal habitats that incorporated the guest experience—great animal welfare and wellness that could be easily navigated by guests. I’ve been doing that for years. But biologists who are actually looking after the animals will also help design the best animal habitats so that they are super functional. The result will be best for the guests, for the animals, and for the people working with us. We have some great habitats already; they just need some tweaks. And there are some new spaces we’ll be working on. Davis: Over the past eight years at the MFA Boston, we shifted the paradigm of how we asked visitors to engage with the Art of the Americas in a much more global context. With the new Foster building at the MFA Boston, we explored ways to use galleries and watched visitors interacting with the art and the building. While I was on that job, we developed new programs and partnerships and hosted traveling exhibitions using the building as the driving factor. In terms of the Norton, it is exciting to think how this new building designed by Foster + Partners will affect that change with a collection that has been there for nearly 80 years and to see how the community will respond to the changes. Which area of your institution would you like to see developed further to enrich the offerings to visitors? Kanai: Education. We have received funding for a full-time STEAM educator who will develop a curriculum following state guidelines and will link each of the STEAM subjects to elements found in art and horticulture. The Art & Healthy Hearts program will be expanded to 12 sessions. A representative from the American Heart Association teaches Title 1 schoolchildren about how a garden can provide food that contributes to good health. Artists Talks bring our exhibition artists to engage directly with visitors about their work and process. A hands-on program for children will follow in the studio. Lawrence: Several areas. Carrying on the groundwork that was already started is important—the Institute for Cultural Advancement that is building the capacity of institutions and their leaders is really, really important. Our work is so much behind the scenes and is designed to uplift artists and cultural institutions. Anything we can do to provide that bedrock and foundation for the creative community is really where the value of our work is. Arrizza: Our physical space needs to expand. We are the second busiest science center in the country with upwards of 300,000 visitors annually in 4,000 square feet of space. That’s a lot of people in not a lot of space. McKnight: When people walk into the zoo, we want to inspire them, and we believe strongly that the way you do that is by having relationships with them. Visitors come to the zoo to see animals, but if they have a great experience, it’s because they’ve had a great experience with the staff and with one another. So we’re working hard right now on the visitor experience, and that starts with the humans who are working with us. We’re a place for animals, but we’re also a place where the human element is critical. 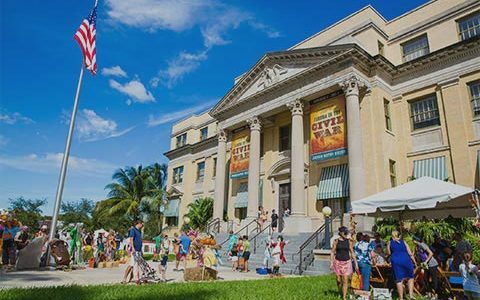 Davis: We want to build on the success of past programs and think about initiating new ones to fulfill the promise of the new building, as well as how our programming can serve the community in Florida as a whole and the broader museum community. What do you think is the single most effective way to attract the community to your institution? Hunt for young families to enjoy. Lawrence: Relevancy and communicating the “why” in what we’re doing. Much of our work is behind the scenes. We need to do a better job explaining what we do and why our programs are important to residents and visitors and how our work grows the cultural sector. We need everyone to know that when you attend a performance or an event in Palm Beach County, or you support the Cultural Council or one of our events—your contribution, attendance, or volunteering is helping to contribute to the quality of life and the cultural community in Palm Beach County. Arrizza: The single most effective way for us is to be the most inclusive and welcoming science center in the country. We create and bring in traveling exhibits that cater to a wide variety of ages and people of all abilities. From Sensory Saturdays to various bilingual exhibits, we strive to create fun experiences for everyone. McKnight: We want to provide experiences that are unforgettable. That is what will make people come back again. Davis: I don’t think that there is a single way. 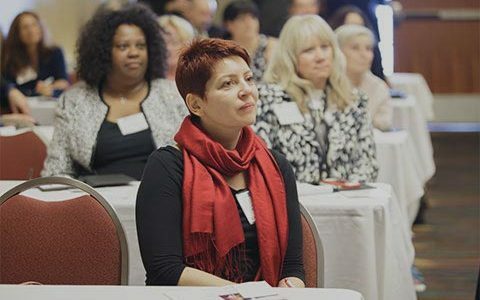 You have to have a rich portfolio of programming carefully designed to meet the needs of different sectors of your community—all ages, from all walks of life. That’s going to take some time to figure out. There isn’t one magic bullet, there are many. I do think the way we talk about art has to be engaging and exciting. There are many ways that meet the mission-driven goals of our institution. How do you see the exhibition side of your institution evolving? Is there an exhibit already on the horizon that we can look forward to? Kanai: We want to bring different types of works to our galleries and to the garden. Our recent glass exhibition, Murano Mosaics – Persistence & Evolution—generated excitement, and we shall continue to bring a range of fresh and appealing works. We want to create a balance between more renowned artists and emerging artists in our community. Our successful partnership with Palm Beach Modern + Contemporary art fair three years ago is set to continue, bringing exciting exhibitions of world-class works of sculpture into the gardens each season. In addition, visitors have the opportunity to purchase the works we have on exhibition. 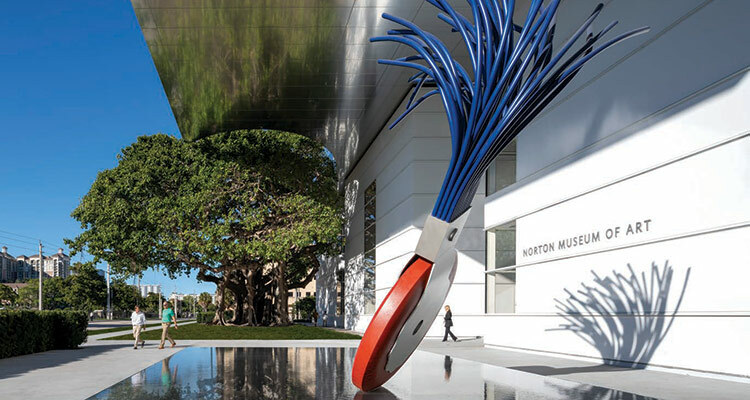 This spring, we have Gino Miles’s Contours in Metal sculpture exhibit in the gardens and An Eye for Nature – Paintings and Prints by Morton Kaish. Lawrence: We have to grow our spaces and highlight and put the emphasis on Palm Beach County artists. 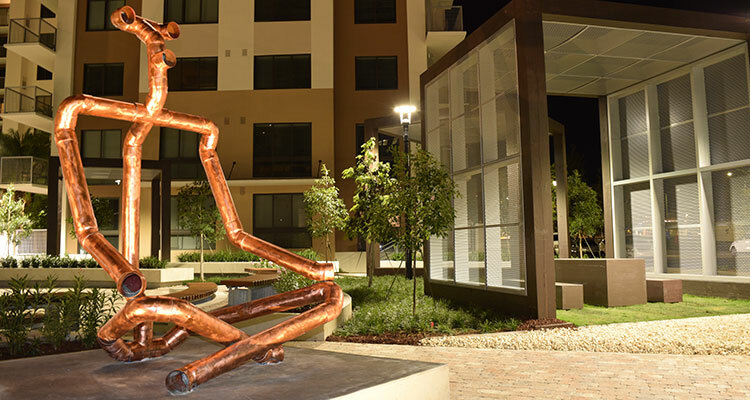 Many emerging and local artists may not have the opportunity for representation, so our spaces and other co-op and nontraditional spaces will allow those artists living and working in PBC to have additional opportunities to show and sell their work. It’s part of the bedrock of our cultural scene. What I would like to do with our exhibitions is challenge our residents and visitors in new and unusual ways. X Marks the Spot, the graffiti exhibition earlier this year, was phenomenal for us, especially because it brought in a very different crowd from what we are used to. How we can continue to do that in the long run is through relevance, speaking to different populations in our community and opening a gateway for further engagement and involvement within the cultural community. I’m looking forward to the Biannual exhibition in early May, which is going to highlight a large number of artists who have been working in the last two years. It’s a chance to show off how strong the artistic talent is here in Palm Beach County. Davis: I’ll be working with my good curator colleagues Cheryl Brutvan and Ellen Roberts, who also worked with me at MFA Boston in the past. There is one exhibition that is on the horizon that will feature Georgia O’Keeffe. Living Modern is a rich collaboration with the Brooklyn Museum and the O’Keeffe Museum in Santa Fe. The Norton has had a tradition of recognizing work by women artists. The exhibition is really about O’Keeffe crafting her image as an artist and using aspects of her settings both at Abiquiu and Ghost Ranch, as well as her clothing, which she designed largely herself. I think people will be interested to see that, as a woman, she became one of the foremost artists working in the twentieth century and had to carve out her own identity very distinctly to do that. So that’s exciting. The other exhibition that was already in discussion and is in the very early stages of development is from the Shelburne Museum in Vermont. I know the collection inside out and was an intern there as a teenager. The museum was founded by my great grandmother. I don’t know how the curators will shape that exhibition, but I will be cheering from the side as they proceed. We will surely do exhibitions from our permanent collection, what I call “focus shows” for our public. I’ve worked with very large collections, both at the Metropolitan and MFA Boston, and while the collection at the Norton is smaller, to me it’s interesting to see at this stage in my career what we do with the collections we have—how we present them to the public, how we make them exciting and accessible to the public. While we will also able to host traveling exhibitions at our wonderful new state-of-the-art facility, we will want to look inside too at what we already have. We might take a single item or a group of objects and make them shine so we can empower the visitor with an understanding of what those objects really mean. Will you be planning new programs that will help the community to better understand and appreciate the objectives and goals of your institution? Kania: Ann’s legacy to blend art and nature, and to use the gardens as a place of learning, governs all our programs—and I shall always be looking for new programs to achieve those objectives. The enhancement of our pathways through the gardens will improve accessibility for visitors who have physical challenges so they can enjoy their visit and fully appreciate the experience. This month, Ann Weaver Norton will be inducted into the Florida Artists Hall of Fame, and the institution is now part of the Historic Artists’ Homes and Studios Program of the National Trust for Historic Preservation. These honors will help spread the word to the community and beyond. Lawrence: As a local arts agency, so much of our work is behind the scenes. I’m challenging our staff and board to talk about what we do and how we do it. 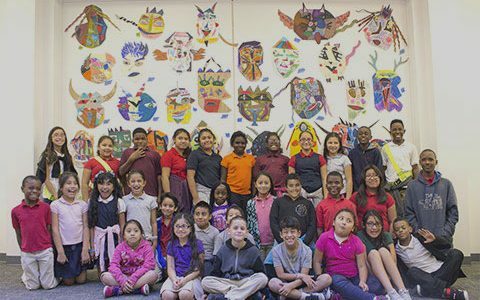 We can share the economic impact of the arts that return $633 million every year in arts activities in Palm Beach County, supporting 14,000 full-time jobs and 5.4 million visitors who attended our arts activities. That’s astounding and an easy story to tell. But the arts are also important for business. 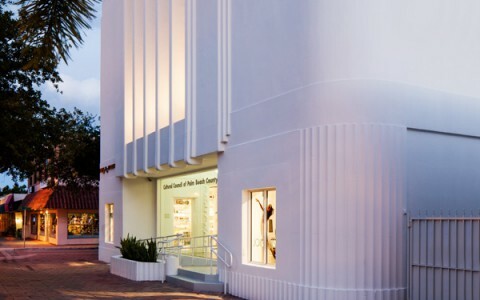 When you look at what is happening to the Norton Museum of Art, stretching the boundaries at Palm Beach Dramaworks, the Photographic Center, and other places, that creates a vibrant urban environment when people are looking to relocate their business. Studies show that three out of four college graduates first look for a city to live in before finding a job. They want a place with an outdoor life, parks and recreation spaces, health and fitness, and a strong cultural life. Quality of life matters when people make relocation choices. These are the ways to help the business climate increase. We’ve got to celebrate the arts and find ways we can help businesses create more business. We need to strengthen that message too. Arrizza: We go back to our technical programs that we try to do in-house most of the time, but we’re also great at community partnerships. We work with a company called 3D Printing, who come on a Saturday to do workshops that are pretty advanced. We also do that with coding with Palm Beach Technology, so that anyone from the community can come in and take advantage of that. We strategically create partnerships that have more expertise than we do—so people know that if we have partners like Max Planck and Scripps, who believe in us to give us help for a good portion of our Brain exhibit for example, that says a lot about our science center and how we have developed from where we were when I was a little girl. These partnerships have been crucial to us and have given us our credibility back with the community. McKnight: There’s a lot of science now that talks about the nature deficit in children, as well as adults. Being around nature does something to the chemicals inside you and makes you feel good, and there are ways that we can measure that now. Start with the emotion: What delivers it, what animal can do that? Our mission is to inspire people to act on behalf of wild nature. So start with the emotion. We want people to fall in love with the animals so that when they leave, that still resonates with them and forms a connection. We are doing that by designing habitats that bring the animals safely into where the guests are. On the education front, we have outreach programs that take the animals to kids who can’t come to the zoo, and we have grants to do that. Our staff and animal keepers talk to the public, but we also want to bring in educators to interact with the guests, who are trained and know how to tell stories that will impact the guests. Part of our outreach programs will be to take people out there into the wild where the animals come from and to see the coral reefs in the sea, so that people can experience these places with us as well as in the zoo. So we’ll be taking the zoo on the road. Davis: The smaller exhibits that will take a closer look at the pieces inside our permanent collection should give visitors a better understanding of them. I’m also intrigued by the idea of the Living Room in the museum. I think that’s a wonderful way of welcoming people into a new museum. Likewise with the sculpture garden, which expands the museum and brings the inside out. Another area of great interest to me is what we’ve been doing at MFA Boston to test how visitors respond to art museums as part of what we call “human flourishing” or wellness. Testing and experimenting how we can give our visitors positive experiences and understanding whether we are doing that well or not. We want to think about visitors coming to art museums as they would visit a public park or walking in nature more broadly. We are told by those in the technology world that to stimulate creative thinking, we should unplug from our phones and devices and go for a walk in nature. In nature you can stop to look at a tree or a bird or anything that might interest you—similarly, walking around an art museum, you can stop to look at a piece that interests you based on your own psychological development. We need more scientific data, and we’ll want members of the community to help work with us on this. What opportunities do you see for our cultural institutions to collaborate and work together to benefit of the community? Kanai: I want to create partnerships and help lift up every cultural institution. We are not in competition with each other but a family getting together to collectively benefit the community. Lawrence: One of the things that I see real power in is public-private partnerships, because I think some really incredible things can happen. I look for opportunities to partner with non-arts entities, government agencies, and others in cross-sector collaborations. Those kinds of things can take longer to develop, but I think the results can be really incredible. Arrizza: Right next to us, we have the Palm Beach Zoo, another wonderful organization. We work with them, and often people think that we are one organization—but we’re totally different. They are conservation-focused, and we are technology focused. The truth is that our families who visit us are the same families who visit them, and their members are our members. They are a half-day visit, and ours is about a half-day visit, so, what we want to do is turn our two organizations into a one-day visit. What we are doing right now is writing a federal grant to plan some sort of a connection between us, whether it’s a bridge or a walkway or even a boat ride across the lake behind us. At the moment, you have to get in your car and drive around, which is ridiculous since we are only 10 feet away from each other. That would bring almost a million people annually into what we might call an “ecosystem destination” and turn us into the most popular destination in Palm Beach County. This is something that the community has been asking for forever, and we are committed and very excited about it. The grant will be for a study to see what the best way to do this would be. A year after that, we would be entitled to $3 to $4 million to implement whatever we decide would be the best way. We are not in competition with the zoo; they are our friends, and we are both excited about that. Mcknight: As soon as I landed here, Kate [Arrizza] picked up the phone, and we started to have dinners together. And, as you know, we have a grant that we’re working on to bring our two institutions closer together. Then she introduced me to Jack Lighton, president and CEO of Loggerhead Marinelife Center, and we started having lunch. All three of us got together to work on a possible water conservation project because that affects all of us, and we want to invite the community to help us. The other piece of it is that there is art in everything that we do too. So beyond the collaboration we do with the science, research, and education, we need to reach into the art community and figure out how to experience art at the zoo. There are unlimited ways to collaborate. Davis: I look forward to getting to know those institutions much better. We can share programming and create collective programming. Some years ago, I had an experience with a fabulous project about Massachusetts furniture, where several Massachusetts institutions and foundations worked together in a collaborative way and the MFA hosted the symposium. What the collaborative did do is allowed especially smaller institutions that have difficulty in getting more attention to come under that umbrella, and were able to plug into that bigger concept. We could all take advantage of bringing more attention to the field, cross-market, cross-pollenate, and do more research. In that sense, the rising tide raises all ships.